That is his son Pat standing by his tee shot in the far distance. Jim almost made it to Pat's ball with this, his second shot. Oh I dunno. 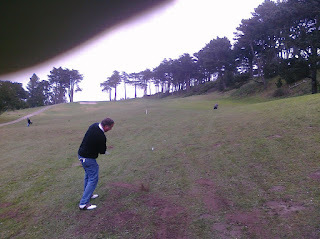 You did beat your son by some 15 strokes, on this his very first outing on a golf course.